Our short trips to Morocco from Spain vary from one day to one week. Touring Morocco from Spain is adding to your knowledge a complete overview of the ancient history of the West Mediterranean culture especially the Moorish one, shared between Morocco and Spain. Your visit to Spain will be more rewarding really if you extend it by taking a short trip with us across the strait of Gibraltar to Morocco. These tours and vacations start by taking a ferry from Tarifa in Spain to Tangier port leaving Europe behind you and facing the exotic and natural charm of Africa most interesting gate of Tangier. You will put the mediterranean sea on one side and the Atlantic ocean on the other, this cross at the Strait of Gibraltar is an ultimate experience in itself that you might treasure for the rest of your life as cultural travel goes. Visiting Morocco from Spain, a culturally rich, exotic, majestic country that sits at the crossroads of Europe, Africa and most beautiful in all north Africa by its nature. Not to forget the Moroccan people known for their unsurpassed hospitality. 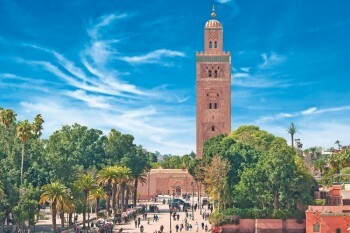 On this short vacation to Morocco from Spain you will immerse yourself in Moroccan culture as you experience the amazing sights, ancient sounds and intoxicating scents unique to this magical country. 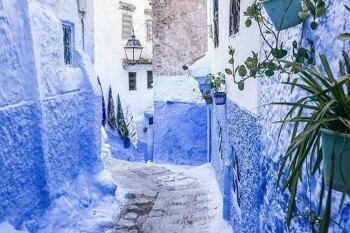 Our tours from Spain vary from one day in Tangier to three days visiting fez, to six days imperial cities down to Marrakech, to of course an eight days tours to discover all aspects of Morocco cities, villages, mountains, Sahara desert, Atlantic shores and extended beaches of the Mediterranean. You will be treated on this short trip to Morocco from Spain to local music, cooking classes in fez best city for typical Moroccan cuisine, walking cultural tours of the Medina as well in the souks of Marrakech and it world famous square of Jemaa el Fna, traditional mint-tea ceremonies, and an opportunity to meet and mingle with Moroccans. We offer you an Morocco from Spain experience to keep for a lifetime, Cultural Tourism is our tradition. Our tours in Morocco from Spain can be small group tours as well as private parties FITs for individuals independent travelers or family travel to enjoy your vacation at your pace. All our halal tours are also escorted by well-versed guides and tour leaders who are indeed our most important asset in the travel industry. It is our mission to share the true essence of the vast, timeless cultures of the Atlas mountains and Sahara desert, and to provide our guests with a travel experience of the highest quality available in this extraordinary region. Hop on one of our short tours to Morocco from Spain and create memories with us. We gurantee small groups departures, unbeatable prices, rewarding itineraries, best guides for all our scheduled tours to Morocco from Spain. Our short tours vary from one day excursions to Tangier, three days trip to Fes, five days journey through the imperial cities, and one week discovery all over Morocco. One day tour to Morocco from Spain is a great introduction to the gate of Africa. Travel in a small group. 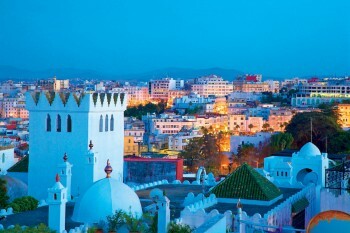 Explore Morocco from Spain 3 days tour visiting Moulay Idriss, Volubilis, Fez, Chefchaouen, and more. Islamic history and architecture Tour of ancient cities in Morocco. Enjoy our budget tours to Morocco from Spain.